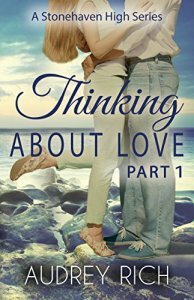 Thank you so much Cherry Christensen for featuring Thinking About Love, Part 2 on Romantic Tales! Head into the long weekend with a new book by Audrey Rich! Thinking About Love is the second book in her Stonehaven High Series. Seventeen year old, Trina Weber has the world at her feet: beautiful, part of the in-crowd, and on her way to graduate with enough college credits to earn her AA while only a junior at Stonehaven High School. She’s searching for a partner, who will accept her goals and all the studying that goes with becoming a family doctor. When the gorgeous, equally ambitious college freshman Stuart Grant blazes into her South Florida paradise, he fits right in. He’s everything she dreamed of and more…except he doesn’t agree with the most important part of who she is. Winner of the $100 Amazon Prize of the Goodreads Giveaway! The winner of the $100 Amazon Prize for the It’s Good to Goodreads Giveaway is Cora Lujan! Thanks Farah for the interview! Farah Oomerbhoy is an international bestselling author of YA books and you can read the interview on Farah’s blog. Trying to Show my Followers some Love with a Goodreads Giveaway! Follow me and fourteen other authors on Goodreads and be entered into a Rafflecopter to win the $100 Amazon Gift Card. Many thanks to Cherry Christensen for having posted my debut novel, Masquerading Our Love, on her blog! 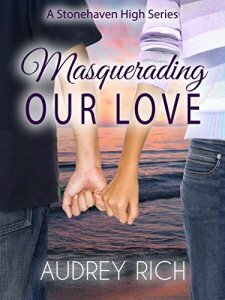 If you’re looking for a sweet teenage romance story to read, then check out MasqueradingOur Love by Audrey Rich! Junior year has been tough on Thalía Reynari. A new high school, trying to fit in with new friends, schoolwork, family commitments. With everything going on in her life, Thalía could use a break, an adventure. So when Thalía meets Christopher Cooper, the most gorgeous guy in town, her life should change for the better, right? Thalía and Christopher find themselves caught in the middle of a simmering feud that’s kept the two families apart for a decade. And no one is sure if young love will be enough to bridge this divide. As they hide their relationship behind masks Thalía must decide if this new love is worth losing her parents’ approval.